For presidential candidates, the election process is not a private affair. Instead, the media and the public scrutinize every aspect of the candidate's personal life, no matter how frivolous the findings. Since gaining legitimacy as a both a presidential candidate and a potential alternative to Hillary Clinton, speculation on Bernie Sanders and his family has surfaced. The public has been particularly interested in Sanders' only biological son, Levi, who assisted his father in his reelection campaign for his Vermont Senate seat in 2006. Political background and family affiliation aside, Levi Sanders doesn't seem to be campaigning for his dad in the 2016 presidential race — at least, not at this stage in the game. Levi Sanders works as a Social Security Analyst at a Boston-based firm called Cambridge & Somerville Legal Services, specializing in disability cases. According to his LinkedIn account, he is using his position to further some important causes. For example, he represents the concerns of elderly and low-income clients by lobbying for them. He has also pushed for legislative efforts to allocate additional funds to battered women's shelters. For over 15 years, he has paired his legal work with his endeavors to serve the underprivileged, a feat which has certainly made his father, a self-proclaimed socialist democrat, proud of him. His advocacy role in the public sphere has made him a great addition to his father's past campaigns. Levi served as a consultant for his father from January 2006 until September 2007. Formally, he planned meetings and events, and he also put his legal knowledge to use by writing papers on welfare reform and various social service issues that helped the public understand Bernie's position on each of those avenues. For that reason, it seems safe to say that Bernie and Levi share similar views when it comes to social matters. 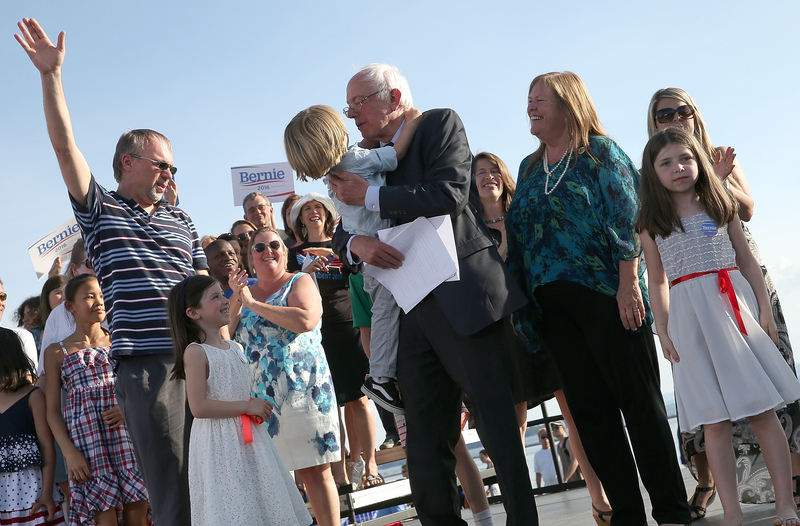 Though further involvement in his father's campaign is certainly still possible as the New Hampshire primaries approach, Levi hasn't made a public appearance with Bernie since August, when he introduced his father onto the stage during a couple of New Hampshire rallies. CNN's Dan Merica reported the sighting on Twitter. Will he appear in New Hampshire yet again? No one knows yet.